The exhibition Voðaverk – Matters and Strata, a duet exhibition of textile artists Lilý and Ýr who make their art with a domestic knitting machine and a tufting gun. Voðaverk is an experimental textile artwork where the two techniques are woven together in one piece. 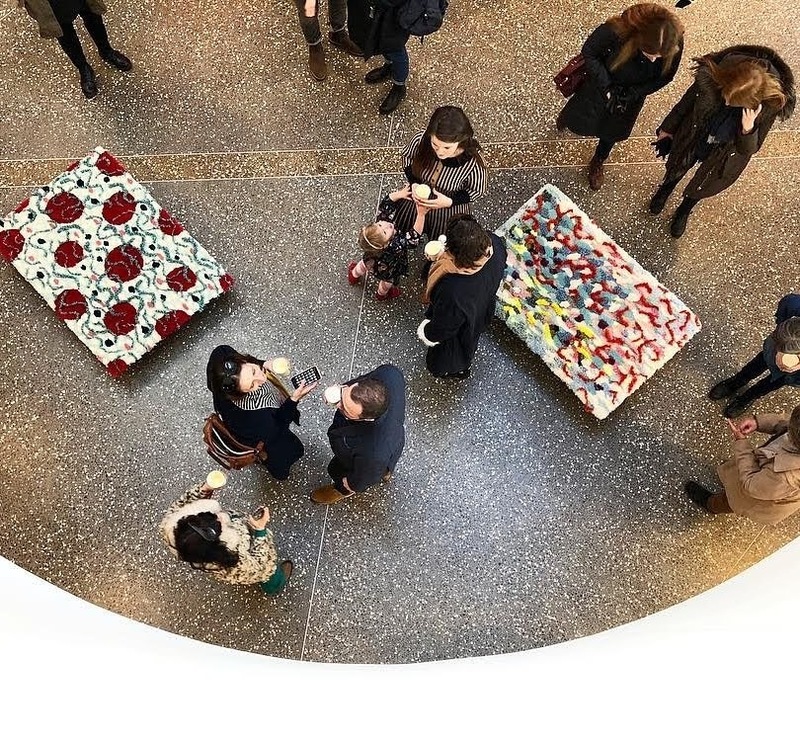 The exhibition was held at Design March 2019 in Veröld – hús Vigdísar.